Rotterdam, THE NETHERLANDS, Uitgeverij Duo., 1994, First Edition 1/3000. (ISBN: 90-72971-22-1) Cloth in Pictorial Dust Jacket, Oblong 8vo, 90pp, profusely illustrated in b&w. Text in English and Dutch. 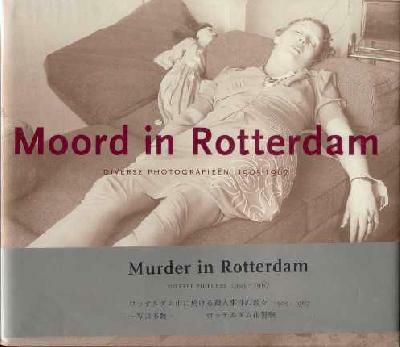 As unlikely as it seems, "Moord in Rotterdam" is an unusually serene and beautiful collection of photographs taken by anonymous policemen from the Crime Scene Unit of the Municipal Police, Rotterdam. Its macabre subject matter, and the mystery that each image evokes is strangely compelling. A brand new, pristine example of this uncommon gem in the publisher's Japanese and English language obi.. Fine/Fine.